In this latest release, Ed Foreman releases details of the background in the Kevin Trudeau case. Kevin Trudeau is a #1 New York Times bestselling author of six books, with over thirty million copies sold. He is also a former radio show host. For decades, Trudeau has been an outspoken critic of certain government agencies, specifically the Federal Trade Commission (FTC) and the Food and Drug Administration (FDA). Trudeau has also been highly critical of the “Washington Political Establishment”, which includes powerful political special interest groups, such as those representing the pharmaceutical and banking industries. For the reasons established above, Trudeau believes that he has been the target of relentless politically motivated attacks by the FTC, which has repeatedly promulgated false and libelous allegations against him in an effort to discredit and ultimately silence a “political foe”. In 2002, not having received any customer complaints, the FTC filed a baseless and frivolous civil suit against Trudeau, alleging that Trudeau had made unsubstantiated and/or undocumented claims in a TV infomercial promoting the nutritional supplement Coral Calcium (calcium derived from marine grade coral from Okinawa, Japan). Trudeau maintained his complete innocence and was prepared to fully litigate the FTC action. Before the case went to trial, the FTC agreed to drop all “charges” against Trudeau and settle the case. A “Settlement Agreement” (also called a “Consent Decree” or a “Court Order”) was negotiated between the FTC and Trudeau. In 2004, Trudeau entered into this Consent Decree in the United States District Federal Court, before Judge Gettleman. Trudeau agreed to settle the suit, in part, based on Trudeau’s demand that the FTC admit in the Consent Decree that there was “no finding or admission of any wrongdoing” on Trudeau’s part, and that all charges and allegations are dropped. The statement of “no finding or admission of any wrongdoing” appeared in the Consent Decree (Court Order), and was signed by the FTC as well as Judge Gettleman, the presiding judge in the civil case. In that decree, Trudeau agreed that he would continue to “not misrepresent the content of any book, newsletter, or informational publication” in a TV infomercial. Since 1989, with over 1,000 infomercials produced and aired, there has never been a finding or even an allegation, that Trudeau had misrepresented the contents of any book, newsletter, or informational publication. None of the tens of millions of customers who have purchased Trudeau’s books and courses have ever made such a claim. The Settlement Agreement also stated that nothing in the Court Order would infringe upon any of Trudeau’s First Amendment rights in respect to his books. Contemporaneously with the negotiation of the Settlement Agreement, Trudeau wrote the book “Natural Cures They Don’t Want You to Know About” and produced an infomercial that promoted the book. Before the agreement was signed, both the book and the infomercial were presented to the FTC and the Court (Judge Gettleman) for review and approval. Trudeau sought to verify that his understanding of the terms of the Settlement Agreement was correct and that the infomercial was compliant with the Court Order. 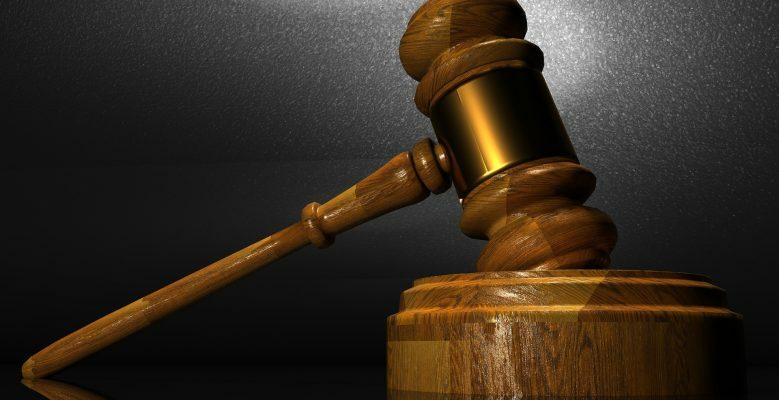 The FTC and the Judge agreed that the Natural Cures infomercial and the book were fully compliant with all of the requirements entered in the Consent Decree. The FTC and the Judge both concurred that the infomercial for the book Natural Cures did not “misrepresent the contents of the book”. Based on this ruling, Trudeau signed the agreement (Consent Decree / “order”). – He talked about his personal experiences and the experience of others. In the span of the following few months, Trudeau produced over a dozen more infomercials for the book Natural Cures, as well as other books he had authored, utilizing the same exact “formula” that Trudeau used to produce the “approved infomercial”. Trudeau had all infomercials reviewed by legal counsel to ensure they were in compliance with the order. After the lawyers “cleared the infomercials” and ascertained full compliance, Trudeau, out of abundance of caution, would always send the infomercial to FTC seeking comment. He would do so every time, well in advance of every infomercial’s first airing. Trudeau requested that the Commission communicate any issues or concerns with him as soon as possible, so he could immediately take steps to rectify the situation. Only then would the show be broadcast. All of the infomercials (over twelve) were reviewed by the FTC. The Commission never raised any issues concerning any of the infomercials. In the meantime, millions of people purchased the books that Trudeau was promoting. “Natural Cures They Don’t Want You to Know About” was ranked #1 on the NY Times bestseller list for twenty-six weeks in a row. It became the top best-selling book in America in 2005, the book’s first year in print. The customers overwhelmingly loved Trudeau’s books. All the books came with an unconditional 100% money-back guarantee. Trudeau authored the book “The Weight Loss Cure They Don’t Want You to Know About”. Trudeau appeared in three infomercials to promote the book. He talked about his new book and the famous Dr. Simeons HCG weight loss protocol that it espouses extemporaneously and passionately, without resorting to scripts, rehearsals, or teleprompters. Trudeau applied the same “formula” that had been “approved” by the FTC and the Court (Judge Gettleman) to the three infomercials about the Weight Loss Cure Book. Trudeau believed that the infomercials for the Weight Loss Cure book were fully compliant with the order. The legal counsel representing the production company which produced the infomercials had reviewed the shows prior to their airing, and confirmed to Trudeau that the shows accurately reflected the contents of the book, as everything said in the course of the shows was also written in the book. Furthermore, Counsel were satisfied that the shows described the Weight Loss Cure book in the same manner as Trudeau’s “approved” infomercials described the Natural Cures book, and were thus fully compliant with the Consent Decree. Trudeau, through his legal counsel, attempted to submit the Weight Loss Cure infomercials to the FTC for review. Trudeau advised the FTC that the shows would begin to air. He once again requested to advise him immediately if they had any issues whatsoever with the shows, so that any problems could be rectified without hesitation. The infomercials went on air and Weight Loss Cure books were sold. The infomercials continued to air for over one year. The Weight Loss Cure book quickly became a New York Times bestseller. In the course of this time, Trudeau maintained almost weekly contact with FTC officials concerning a variety of other compliance issues, thereby demonstrating his diligence and desire to remain fully compliant with the “order”. Millions of people purchased the Weight Loss Cure book while the infomercials were running. There were virtually no customer complaints. The customers overwhelmingly loved the book. As always, the book was backed by an unconditional 100% money-back guarantee. Millions of copies of the Weight Loss Cure book were also sold through books stores and other retail outlets, owing primarily to recommendations provided by satisfied customers who had purchased the book after viewing one of the infomercials. A flood of testimonials and success stories poured in from people who successfully used the Dr. Simeons HCG protocol described in the book. Thousands of satisfied readers sent unsolicited correspondence to Trudeau just to tell him how much they loved the book, and how the Dr. Simeons HCG protocol it describes, was the easiest and most effective weight loss method they had ever tried. Satisfied customers consistently reported that they lost more weight faster, and with less hardship, than following any other weight loss method they had ever tried before. They also reported that they were keeping the pounds they shed off. Little did Trudeau know that at the same time, the FTC was purposefully letting the shows air and allowing millions of people to buy the book, as a ploy to support a secret plan to file another politically motivated complaint against Trudeau. It finally emerged as a baseless and frivolous contempt of court allegation. In September 2007, the Federal Trade Commission (FTC), not having received a single customer complaint, blindsided Trudeau with a “civil contempt of court” action filed against him. The FTC alleged that Trudeau “misrepresented the contents of the Weight Loss Cure book”, thereby violating the agreed-upon Consent Decree, when he quoted from his book on TV, and stated that he found the Dr. Simeons HCG weight loss method to be “easy” in the course of personal implementation of the protocol. The FTC did not file a “criminal contempt” charge. In fact, the FTC did not file any criminal charges of any kind. No law enforcement agency, state or federal, accused Trudeau of false advertising or filed any criminal charges in connection with the Weight Loss Cure book. The FTC was unable to produce any customers to claim that they were defrauded or that Trudeau misrepresented the contents of his book in the infomercials. The only action filed was a civil contempt of court allegation against Trudeau by the FTC – the same agency that he has criticized relentlessly in his books and on his radio show. The FTC never voiced any concerns to Trudeau in the course of the twelve months when the infomercials were being broadcast. The FTC never alleged that it, or any state or federal law enforcement agency, such as the US Postal Inspector’s Office, received any complaints from people who had purchased his books. Not a single customer who has bought Trudeau’s book has ever filed a lawsuit against the author. The requests for refunds from customers ran at a rate of less than 8%, far below the industry average of between 15% – 25%. Everyone who asked for a refund received a refund. In November 2007, following a bench trial, Judge Gettleman made a finding that Trudeau “misrepresented the contents of his book” when Trudeau uttered the word “easy” in the infomercial. Therefore, Gettleman pronounced Trudeau guilty of violating the “court order” and held him in contempt of court. As “proof” that Trudeau misrepresented the contents of his book, Judge Gettleman indicated that he had personally read the book, and found that the Dr. Simeons HCG weight loss protocol described in the book could not possibly be “easy”. Neither Judge Gettleman, nor any of the FTC officials, had ever actually followed the protocol. Inexplicably, the court concluded that Trudeau’s statements somehow “misrepresented the contents of the books”, even though every statement made by Trudeau in the commercial was either a verbatim quote, a paraphrase directly from the book, or Trudeau sharing his personal opinions and experiences, as well as the experiences of others. The judge’s ruling actually meant that if Trudeau produced an infomercial where he read the entire book, and then said “I just read to you the entire book, call the number on your screen to buy the book”, he would still be found guilty of “misrepresenting the contents of the book”, because the judge and the US government did not agree with what was written in the book itself. This is censorship, suppression of free speech, and government overreach. The government was not even required to prove – and did not prove – that any customer had been harmed. Not a single customer was produced who said that he or she had watched the infomercial, purchased the book, and subsequently felt misled. No one claimed that they had asked for a refund and failed to receive a full refund. No fraud or false advertising was ever alleged by the government. Following the civil contempt trial, Trudeau appealed the ruling and Gettleman’s judgment, first at the District Court level, subsequently to the Seventh Circuit Court of Appeals, and ultimately to the US Supreme Court. The Cato Institute issued an Amicus Brief on Trudeau’s behalf, extolling the First Amendment ramifications of the case. All appeals were eventually denied. During the appeals process, Trudeau went on his radio show and expressed his opinion that the ruling and judgment was wrong, that the judge was biased, and that Trudeau had become the subject of a political witch hunt for his political speech, as well as his outspoken criticism of the FTC, the government, and powerful special interests such as Big Pharma. Trudeau encouraged his listeners to exercise their First Amendment right to “petition the government for grievances”. Trudeau asked those listeners that had watched the infomercials, purchased the book, and had not felt that the author misrepresented the contents of the book, to e-mail or write the judge. Trudeau suggested to his listeners to inform the judge of their experience if they had followed the Dr. Simeons HCG weight loss protocol described in the book and found it easy. Thousands of e-mails poured into Judge Gettleman’s inbox. This angered Judge Gettleman. Within twenty-four hours of Trudeau’s radio broadcast, Judge Gettleman ordered Trudeau to appear in his courtroom. The judge proceeded to immediately accuse Trudeau of “criminal contempt” for soliciting people to send e-mails through the radio show. Without a trial, Gettleman summarily pronounced Trudeau guilty of “criminal contempt of court” and sentenced Trudeau to 30 days in federal prison. Trudeau appealed and the sentence was stayed. Within four months, Trudeau would win his appeal without serving a day in jail. Many would argue that this outcome “infuriated” Judge Gettleman. On April 16, 2010, shortly after Trudeau emerged victorious from his appeal, Judge Gettleman inexplicably decided to accuse Trudeau of “criminal contempt of court” again. This time, the charges emanated from the very same Weight Loss Cure infomercials and issues that the FTC had raised in the course of the civil contempt case almost four years earlier, when the same judge had ruled that the author was guilty. Gettleman created the new “charge” against Trudeau by issuing a “show cause order”, which stated that Trudeau must demonstrate why the author should not be held in “criminal contempt of court” for “wilfully misrepresenting the contents of the Weight Loss Cure book in infomercials”. We are not aware of a single precedent in US case law history, where the presiding federal judge in a civil contempt court accuses and charges the defendant with criminal contempt of court four years after finding the same defendant guilty of civil contempt on the basis of identical issues. The FTC never asked for this action to become a “criminal” contempt case. The Justice Department did not request a “criminal” contempt case either. Trudeau was never arrested or indicted. In the course of Trudeau’s 30+ year career, no law enforcement agency, federal or state, has ever filed a criminal complaint against Trudeau for any of his infomercials. There have been no complaints ever filed by customers requesting that legal action be taken against Trudeau. No such thing happened on this occasion either. A solitary judge accused and charged Trudeau of criminal contempt of court by issuing a “show cause order”. Judge Gettleman is the only person to ever accuse and charge Trudeau of “criminal contempt”. – Suspiciously, only after Trudeau won the appeal against Judge Gettleman, overturning the magistrate’s decision to incarcerate Trudeau for criticizing the former and soliciting his radio show listeners to e-mail Mr. Gettleman to express their grievances about the judge’s rulings. Gettleman’s “show cause order” stated that the criminal contempt of court proceedings were to be treated as a misdemeanour. The judge instructed that if Trudeau was found guilty, the author’s sentence would be limited to a maximum of six months’ imprisonment. On April 16, 2010, the US Attorney’s Office accepted the case for prosecution and moved to exclude time under the Speedy Trial Act. Eventually, the government would move for, and receive, four exclusions of time under the Speedy Trial Act. On September 10, 2010, Trudeau asked that Judge Gettleman recuse himself from the criminal contempt proceedings. This request for recusal was based on the appearance of systematic bias harbored by the judge against Trudeau, including the fact that Gettleman had already stated that he “found Trudeau to have wilfully violated the consent decree”, thus effectively denying Trudeau’s constitutional right to presumption of innocence, as well as a fair hearing presided by a judge acting as an unbiased arbiter of the facts. Gettleman denied the request for recusal, yet mysteriously exercised his prerogative as a senior judge to have the case transferred to another judge instead. When Gettleman transferred the case, he again reemphasized on the record, as well as the written order of transfer, that the case was to be treated as a misdemeanour and that imprisonment must be limited to a maximum term of six months if Trudeau was found guilty. On October 19, 2010, the case was reassigned to Judge Ronald Guzman under a new criminal docket number. On October 21, 2010, the government’s fourth and final exclusion of time under the Speedy Trial Act expired. Judge Guzman waited until April 7, 2011 to hold a status hearing. By then, the government’s failure to prosecute the case had resulted in a delay of more than 150 non-excludable days under the Speedy Trial Act. At this hearing, Trudeau invoked the Speedy Trial Act and moved to have the case dismissed. The government responded by requesting that Judge Guzman simply withdraw Judge Gettleman’s original show cause order, and issue a new show cause order. The new document would not be bound by Judge Gettleman’s “order” to treat the case as a misdemeanor, nor his “order” to cap Trudeau’s term of incarceration to a maximum of six months if the author was found guilty. The government did not produce any new facts, charges, or sentencing enhancements. It argued only that a new order, unencumbered by Judge Gettleman’s original restrictions, would be more appropriate given the “serious nature” of contempt. The new order would leave Trudeau to face the chilling possibility of spending the remainder of his life in prison. On December 7, 2011, Judge Guzman denied Trudeau’s motion to dismiss the case based on the Speedy Trial Act, and instead granted the government’s motion to issue a new show cause order, less Gettleman’s instruction to treat the case as a misdemeanour and to cap the maximum term of imprisonment to six months. Simply because the case had been transferred to a different district court judge, Trudeau now faced a possible sentence of life imprisonment, as opposed to the worst-case scenario of six months. The only factor that had changed was the identity of the presiding judge. It is undisputed that between April 29, 2010, the date when Judge Gettleman issued the original show cause order and April 7, 2011, a total of 214 days had lapsed that were non-excludable under the Speedy Trial Act. The rights afforded to Trudeau by the Speedy Trial Act had clearly been violated. Under any reasonable interpretation of the law, the case against Trudeau should have been dismissed. Even though the government and the court had expressed their concerns about the “serious nature” of Trudeau’s contempt, they failed to demonstrate any sense of urgency to bring the case to trial. In fact, almost two more years would lapse before the trial would finally commence. Almost seven years separated the day when the Weight Loss Cure book infomercials started to air on TV from the day the opening arguments were delivered. Trudeau’s trial started in November 2013. The Court stated that in order to convict Trudeau of criminal contempt, the prosecution would be bound to prove beyond a reasonable doubt that Trudeau had violated the order by “misrepresenting the contents of the book” in the infomercials, AND that he did so “willfully” (i.e. demonstrating clear intent, knowledge, and purposefulness). In the course of the six-day trial, the government failed to produce any evidence proving that Trudeau “wilfully, with intent, misrepresented the contents of the book”. The prosecutors also did not demonstrate Trudeau’s intention, state of mind, or knowledge that he was violating the order. – Two witnesses who did not know Trudeau, were never involved in the “investigation”, had not seen the infomercials, and had not bought or read the defendant’s book. The government also presented a purchase agreement entered into by Trudeau and ITV, the company that was responsible for producing the infomercials, ensuring that the infomercials were compliant with the Consent Decree, purchasing media time, selling the books, handling customer service issues, and managing all related business processes. The purchase agreement purportedly reflected Trudeau’s motive to “misrepresent the contents of the book” in order to sell more books. The two witnesses, a postal inspector and a dietician, presented no evidence or testimony concerning Trudeau’s state of mind, his intent, or willfulness in violating the order. Neither witness addressed Trudeau’s diligence and the efforts he expended to obey the order. The US Postal Inspector did not represent that the agency received any complaints from customers who had purchased Trudeau’s books. She did not state that the agency initiated any civil or criminal actions against Trudeau. The postal inspector’s only actions as a “witness” were to introduce the Weight Loss Cure book and infomercial into evidence and read excerpts from the book, as directed by the prosecutor. The dietician merely discussed purchasing the items mentioned in the book and compared the meals recommended in the book with her personal opinions and advice to clients. – that they did not receive a refund if they requested one. The prosecutors had in their possession over 100,000 of Trudeau-related e-mails, including correspondence between Trudeau and his legal counsel. However, the government rested its case without referencing even a single e-mail, statement, or piece of correspondence authored by Trudeau to explain the circumstances surrounding the infomercials, his understanding of the 2004 Consent Order, or the process used to generate the content of the infomercials. The government did not produce even one bit of evidence to demonstrate that Trudeau stated or even implied an intent to violate the order. Not a single witness was brought to the stand to claim that Trudeau intended to “misrepresent the contents of the book” so he could sell more copies. The Court held that “direct evidence from a witness about the defendant’s state of mind (wilfulness or intent) was not required”. In other words, in the judge’s opinion, the government did not have the obligation to address what Trudeau was thinking, what Trudeau believed, what he intended, or even whether he acted “wilfully or intentionally”. – believed that the was following the advice of counsel. None of this evidence was allowed to be presented in court. It was deemed inadmissible due to “irrelevancy”. Trudeau was not allowed to produce witnesses who would testify that they watched the infomercials, purchased the book, and did not feel misinformed. Trudeau was not allowed to demonstrate that the weight loss method discussed in the book was, in fact, safe and effective (the government actually conceded this point). Trudeau was not allowed to produce witnesses who would share that they followed the Dr. Simeons HCG weight loss cure protocol described in the book, and found it to be effective and “easy”. Trudeau was not allowed to bring to the stand licensed medical doctors, whose clinics had supervised thousands of patients engaging in the Dr. Simeons weight loss protocol, and ask them to share their findings and results. Trudeau was not allowed to read to the jury the section of the Consent Decree covering the protection of his First Amendment rights, even though the entire document had been entered into evidence. Trudeau was not allowed to use the First Amendment as a defence at all. In fact, Trudeau was not allowed to even mention the words “First Amendment” in the courtroom. Trudeau was not allowed to show any evidence reflecting his state of mind, his intent, or the beliefs he harboured about stating personal opinions and exercising First Amendment rights. Trudeau was not allowed to show the “approved” Natural Cures book infomercial and compare it to the Weight Loss infomercials. This restriction denied the author an opportunity to demonstrate the equivalence of Trudeau’s approach to describing the contents of the Natural Cures book and his approach to doing the same in the three Weight Loss Cure infomercials that were the subject of the trial. Trudeau was also not allowed to read the Weight Loss Cure book to the jury (even though it was entered into evidence). At the conclusion of the trial, Trudeau was pronounced “guilty” of “wilfully and on purpose, with full knowledge and intent, misrepresenting the contents of the Weight Loss Cure book in the infomercials”, and thus held in contempt of court. – that he even “thought” he was violating the order. The law is clear and unambiguous on this issue. In order for Trudeau to be found guilty of criminal contempt, the government had the burden to prove beyond reasonable doubt that the author “misrepresented the contents of the book” AND that he was “wilful” when he engaged in such actions. It is undisputed that there was no evidence presented to establish that Trudeau was “wilful”. Therefore, Trudeau should have been found “not guilty” of criminal contempt of court. Citing Cheek v United States, 498 U.S. 192, 200 (1991), Trudeau argued that the prosecution had to prove that “he voluntarily and intentionally violated” the 2004 Consent Order. Trudeau did not testify and gave no other reason for his actions. Therefore, the cases the government used were not applicable. During each day of the trial and the sentencing hearing, the courtroom was filled to standing room only, with mostly Trudeau supporters, including many people who had watched the infomercials, purchased the author’s books, found the protocol to be “easy”, and did NOT feel that Trudeau misrepresented the contents of the book. None of these people were allowed to testify as witnesses on Trudeau’s behalf. At the very last minute, Guzman declared their testimony inadmissible due to its “irrelevancy”. Without so much as an explanation and in spite of vigorous objections voiced by Trudeau’s attorneys, Judge Guzman ordered him remanded into custody immediately after pronouncing Trudeau guilty of contempt of court. The author was handcuffed, shackled, and placed in solitary confinement maximum security detention for over four months, pending sentencing. Trudeau was not allowed to remain free on bond during this period, even though he clearly did not represent a threat to society and could not be considered a flight risk. Contempt of court is not a charge that falls within the federal sentencing guidelines. The judge has absolute discretion when determining the sentence for criminal contempt of court, unless restrained by the terms of the show cause order. The original show cause order issued by Judge Gettleman specified a cap of 6 months imprisonment if Trudeau was found guilty. The probation officer assigned to Trudeau’s case set out to establish an “analogous crime” to Trudeau’s’ contemptuous actions, and use the guideline range specified for the analogue to recommend Trudeau’s potential sentence. The probation officer claimed that the “crime” that most closely resembled Trudeau’s contempt (which was simply that act of “speech”) was “wire fraud”. This finding could only be described as incompetent and defied all logic. Trudeau vigorously objected. Trudeau did not commit wire fraud. Trudeau was not charged with wire fraud. Trudeau was not convicted of wire fraud. Neither the government, nor either Judge Gettleman or Judge Guzman, who issued the “show cause orders”, had ever alleged that Trudeau committed wire fraud. The government did not present any evidence or even make an attempt to prove that Trudeau committed wire fraud. The words “wire fraud” were not mentioned a single time in the course of civil and criminal proceedings against the author. And yet, Trudeau’s case was adjudicated using the sentencing guidelines for wire fraud. He was sentenced AS IF he’d been charged and convicted of committing wire fraud. The Court was informed by the probation office that this phantom “wire fraud” was somehow an analogous “crime” to Trudeau’s “speech” and book. The Court agreed and then inexplicably stated that everyone who purchased the book had been “defrauded” and incurred a “serious financial loss”. Judge Guzman determined that the government was not required to prove that anyone was, in fact, “defrauded” or that the customers suffered a financial loss. In his opinion, both points could simply be “assumed”. Trudeau vigorously objected. Had this been an actual “wire fraud” case, the prosecution would have been required to present clear evidence, among other factors, that people were “defrauded” and incurred actual and real intended financial loss. Every person who ordered the book received the product they ordered. Every customer received as free bonuses the NY Times #1 bestseller “Natural Cures” in hardback (sold at $29 retail), as well as the NY Times bestsellers “More Natural Cures Revealed” in hardcover (sold at $24 retail), along with other bonuses. Depending on the contents of their order, the customers paid between $19 and $39. At a minimum, every customer received $100 worth of books and other informational publications. Every order was backed by an unconditional money-back guarantee. If anyone wanted a refund, they simply returned the Weight Loss Cure book and received a refund, while keeping all the other books as free gifts. It is undisputed that every person to ever request a refund had received one. “Serious financial loss”? Caused by a book that costs $19? Even if a customer hated the book, they received a refund. The fact is that no one “lost money” and no one suffered ANY financial loss. To determine how much money the people who purchased the books actually “lost”, the Court simply referenced the total revenues generated from the sales of the book (approximately $37 million), and used this figure as the “intended financial loss amount”. Trudeau vigorously objected against this unfair, unjust, and “unlawful” calculation. The Court also decreed that every single person who purchased the books was a “victim”, determining that there were over 250 victims. Once again, Trudeau objected vigorously, as there were categorically no “victims”. Based on the fictitious “intended loss amount”, the “ghost victims”, the application of the imaginary “wire fraud” as an analogous crime, and other criteria Trudeau and his legal team strongly contested, the Court determined the “sentencing guideline range” to calculate his prison time. Each of these factors raised the guideline range for the potential prison term Trudeau faced from a maximum of 6 months to an incredible 20+ years. The court concluded that the applicable guideline for Trudeau’s contempt was a range of 235-293 months of imprisonment, simply for saying the word “easy” on TV when talking about his book. This was simply absurd. Trudeau and his defense team vigorously objected. The $37 million “loss amount” did not reflect a legion of unsatisfied customers, as no unsatisfied customers existed. The calculation was not based on customers who felt that Trudeau in any way misrepresented the contents of his book in the infomercials, including the statement that he personally found the Dr. Simeons HCG weight loss protocol to be “easy”. All the satisfied customers who had bought and loved the book, making it one of Trudeau’s 6 NY Times bestsellers, were still counted as “victims” that had been “defrauded” and suffered a “financial loss”. Had the Court ruled that there was no “financial loss”, rather than applying an imaginary $37 million figure, and if the number of victims stood at “0” instead of “in excess of 250”, the applicable guideline range would have been a prison term of 0 to 6 months. Ironically, when Judge Gettleman issued the initial “show cause order” to charge Trudeau with criminal contempt, the magistrate capped the maximum potential prison term that Trudeau could face if found guilty at six months. Trudeau argued that the sentence should not exceed a maximum of six months’ imprisonment, as per Judge Gettleman’s original order. Prior to announcing Trudeau’s sentence, Judge Guzman asked if there way anyone else in the courtroom who wished to make a statement. Even though I, a former US Congressman, was 79 years old at the time, I felt passionate about Kevin’s case, and rose to speak on my friend’s behalf. I introduced myself as a former US Congressman. Without explanation, Judge Guzman ordered me to sit down and remain silent. I continued to speak anyhow. Judge Guzman instantaneously ordered the three bailiffs present at the hearing to physically remove me from the courtroom, which they proceeded to do rather vigorously. I suffered several minor injuries in the process. Why Judge Guzman would not allow a former US Congressman to make a statement on Trudeau’s behalf still remains a befuddling mystery. Judge Guzman proceeded to summarily deny Trudeau’s request that the Court adhere to the six-month cap on imprisonment, as specified by Judge Gettleman’s original show cause order. Guzman condemned Trudeau to an obscene 120 months (ten years) imprisonment, followed by five years of supervised release. This is the longest prison sentence ever imposed for contempt. Judge Guzman stated that the reason he was sentencing Trudeau to ten years imprisonment was because “Trudeau’s books and opinions are worthless and dangerous” and to “send a message to others who think like Trudeau”. Guzman’s sentence included two other significant aspects. Judge Guzman did not fine Trudeau. Judge Guzman did not order Trudeau to pay any restitution. On one hand, the government and the Court contended that everyone who purchased the book was a “victim” and “lost money”. On the other hand, they conceded that no one lost money, and did not order restitution. Trudeau appealed the guilty verdict. Trudeau’s appeal challenged the Speedy Trial Act ruling, the jury instructions on willfulness, and the denial of his motion to acquit due to insufficient evidence, as well as several other issues. The Seventh Circuit of Appeals denied all issues brought up in the appeal. In our opinion, the Seventh Circuit was wrong when it ruled against the Speedy Trial Act argument. It ignored the statute and the prevailing case law, creating its own laws. This finding directly contradicted the Supreme Court ruling in Elonis, which stated that in respect to intent and willfulness, “what the defendant was thinking does matter”. The Seventh Circuit ruling is shameful. The government admits that no evidence was presented to demonstrate that Trudeau was willful; had intent; had criminal intent; or knowingly misrepresented the contents of the book. Yet, beyond all reason, Trudeau was still found guilty of criminal contempt, and all his appeals were denied. A Petition of Certiorari was subsequently filed with the US Supreme Court, which was denied without a hearing or even comment. At that juncture, Trudeau had exhausted all the appeal remedies that were available to him. The US Constitution grants a single judge the power, at his/her sole discretion, to sentence a person to prison for “contempt of court”, an offense that is classified neither as a felony nor a misdemeanour. The US Constitution also grants, exclusively to the President of the United States, the power to commute (reduce) the sentence of any federal inmate. This President may choose to do so at his own discretion for any reason, and is not obligated to comment or explain his decision. For the reasons outlined above, Trudeau has now filed an Official Petition for Commutation of Sentence with the Presidential Pardon Office, asking President Trump to commute the sentence to “time served”. Trudeau has already served nearly four years in federal prison. Trudeau’s commutation request is still pending a decision by the President. We ask that President Trump do the right thing: commute Kevin Trudeau’s sentence to “time served” and have him immediately released from custody. We ask that you encourage the President to grant Kevin Trudeau’s petition, and commute the unjust ten-year prison sentence that was imposed upon him. At this point, one man, and one man alone – President Trump – can rectify this grotesque derailing of our entire judicial process. By commuting Trudeau’s sentence, President Trump will be sending a clear message of accountability to the judiciary, demonstrating that they are not bullet proof and remain subject to the same checks and balances as every other branch of the government. President Trump will also show that judicial overreach, abuse of discretion, and politically motivated legal actions will not be tolerated.